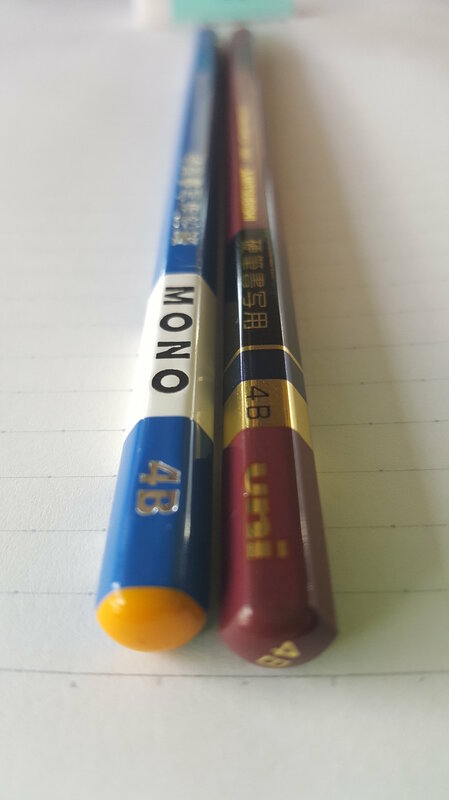 At first glance, both of these pencils are beautiful. From the striking finish to the inscriptions on the side of the pencil, they are a writing implement you are just drawn (no pun intended) to. Like most Japanese pencils I have used, the attention to detail is phenomenal. Writing with the Tombow proved to be a dream. The pencil was nice and smooth and laid down nice, dark lines. 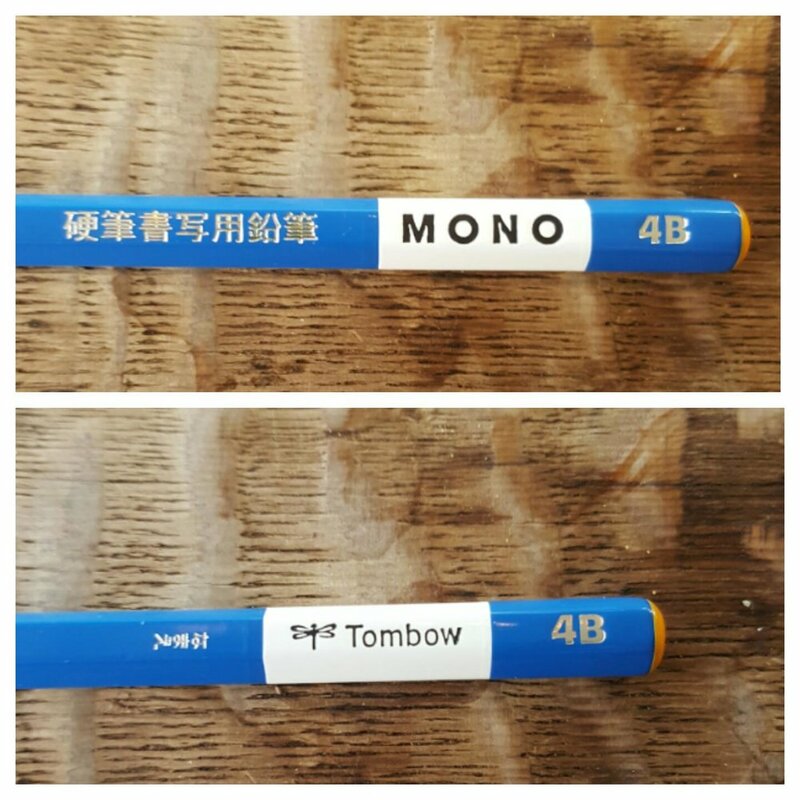 Compared to the Mitsubishi, the Tombow provided more feedback when writing-- the actual sound of scribbling resonated much more so than the Mitsubishi. This may have had to do with the fact that the Tombow was a lighter pencil overall weight-wise. 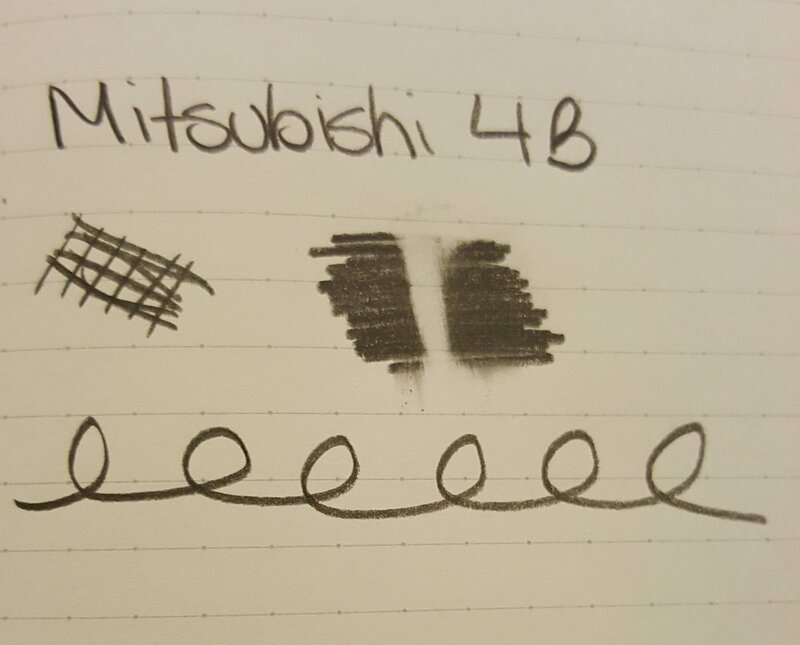 The graphite laid down was almost identical to the Mitsubishi and did not smear. 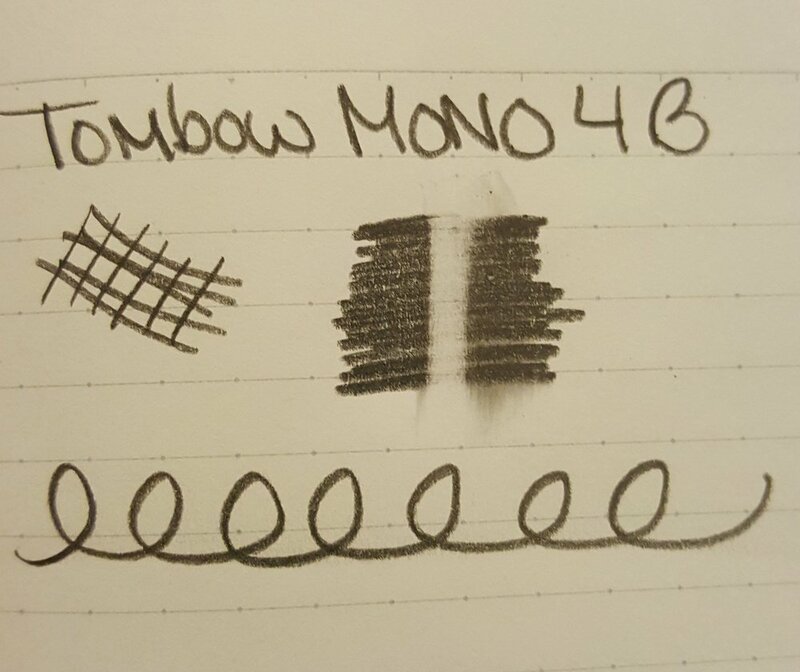 I also preferred the color scheme of the Tombow as I like bright colors, but my opinion is entirely subjective. The Mitsubishi on the other hand was heavier, provided almost no feedback when writing, and the finish, while not as attractive as the Tombow was better. 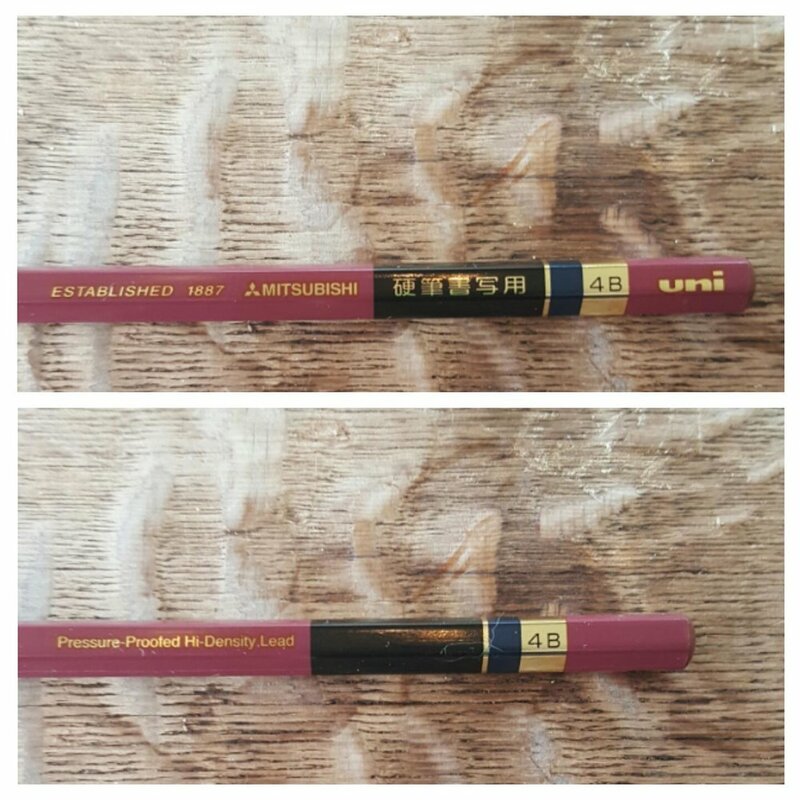 The thicker lacquer and the larger core most likely added to the overall weight of the Mitsubishi as I feel both of these pencils are made from the same wood. Another positive is that the Mitsubishi is a bit easier to find than the Tombow. 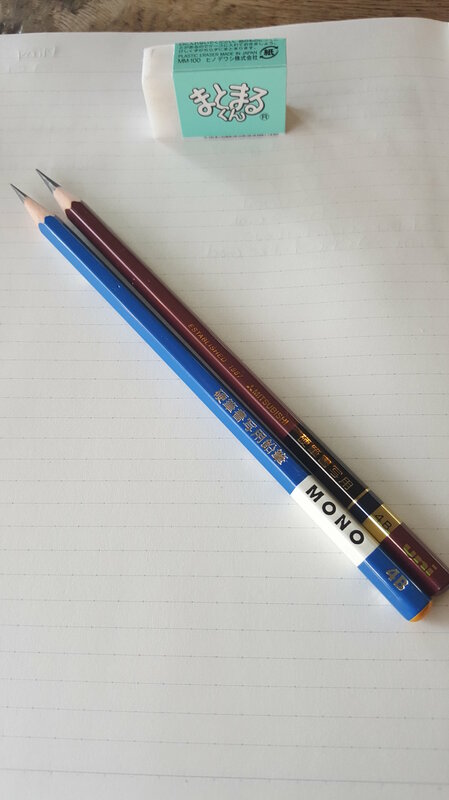 Both CW Pencils and JetPens carry the Mitsubishi, while only CW Pencils carries the Tombow.